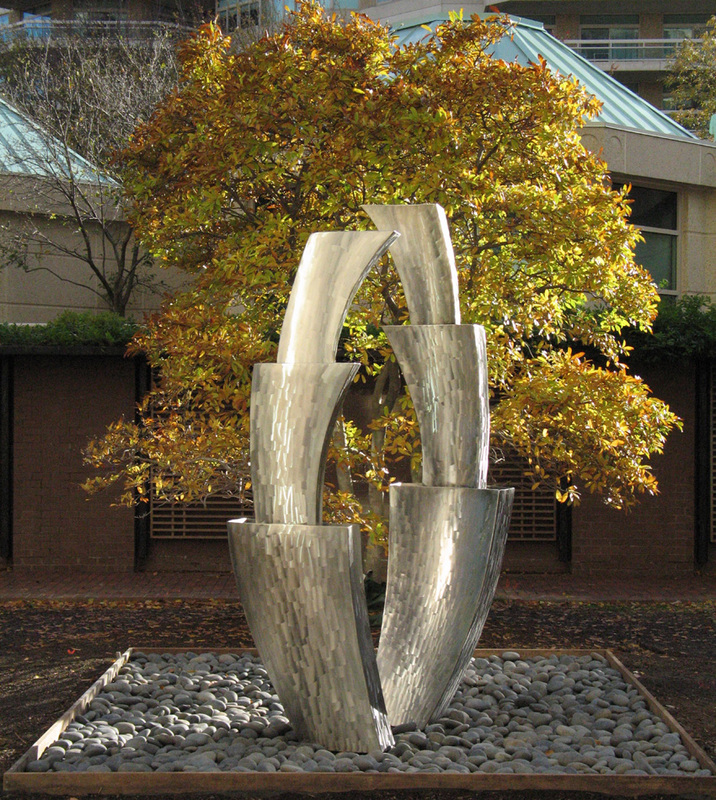 Two embracing curvilinear sculptures of different heights face one another as if moving through a waltz. Water cascades down its surfaces, creating complex and dynamic water patterns at each level. 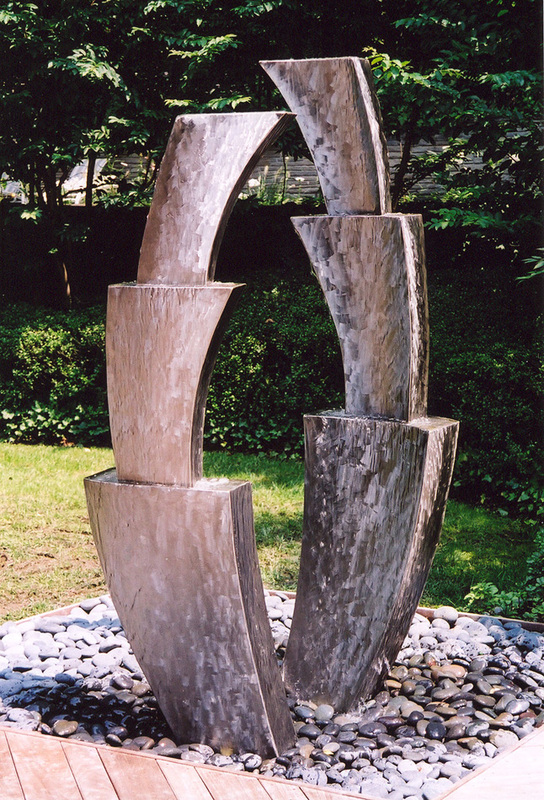 Created for Somerset House Condominiums, Chevy Chase, Maryland.